he remains of a stone castle can be visited on a outcrop of rock next to the harbour of Tenby in South Wales. The castle was built by the Normans during the first half of the twelfth century and was attacked several times by the Welsh in 1156, 1187 and 1260 when Llywelyn ap Gruffudd attacked the town. Walls for the town were built to help prevent further attacks. During the Eglish Civil War the town declared its support for King Charles before being captured by Parliamentarian forces. Sections of the town walls also survive. 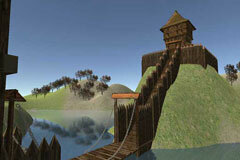 ome remains can be found of this castle near the River Tipalt. It was built using stone taken from the nearby Roman Hadrian's Wall. 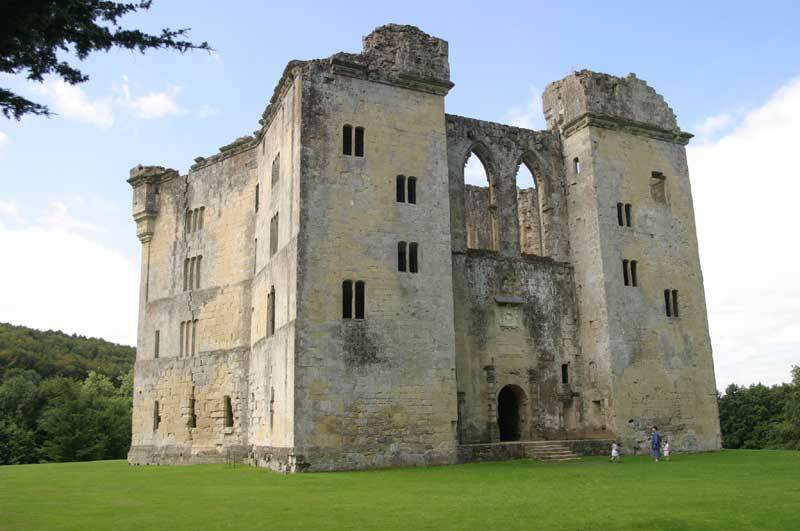 It was used by the Thirlwall family for several hundred years and was reported to be in a state of good repair in 1542. The castle now is a ruin but a large section of the keep can still be seen. ocated on the cliffs of the coast of Cornwall this castle has been used at least since the Dark Ages as a defensive site. The castle is supposed to have belonged to the legendary King Arthur. The site is almost an island, protected on three sides by the steep cliffs and on the fourth by a deep crevasse where it joins the mainland. Richard, Earl of Cornwall, the brother of Henry III, is responsible for parts of its construction during the medieval ages. Sections of the castle were built both on the mainland and on the island. Large halls were built rather than a keep as would normally be expected in Norman times. Although most of the remains at Tintagel Castle are at ground level there is still much to explore and the setting for the castle is spectacular. emains of a stone keep on top of a small mound very close to its successor stone castle at Dolwyddelan. Tomen Castle is supposed to be the birth place of Llywelyn ap Iorwerth, (the Great), Trees and undergrowth now cover the mound and what stone remains that are left. Appears to be on private land. emains of a motte and bailey castle later rebuilt in stone located on the banks of the Lynher River near Saltash in Cornwall not far from Plymouth. The first Norman castle was built in a similar style to Restormel Castle by Robert or Mortain, the half brother of William the Conqueror. The site may have been used by the Romans or early Britons, but evidence for this is not available. The castle was placed under the control of Reginald de Valletort and remained in the family until 1270 (or 1227) when it was sold to the Earl of Cornwall. Under the Earl, the fabric of the castle was improved. Like the castle at Restormal, the Trematon Castle consists of a circular shell keep built high upon a large man-made mound. A curtain wall with a large gatehouse surround the inner bailey. 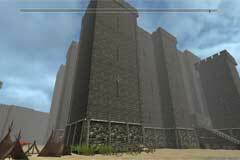 The gatehouse is large with two portcullis and chambers for accomodation. 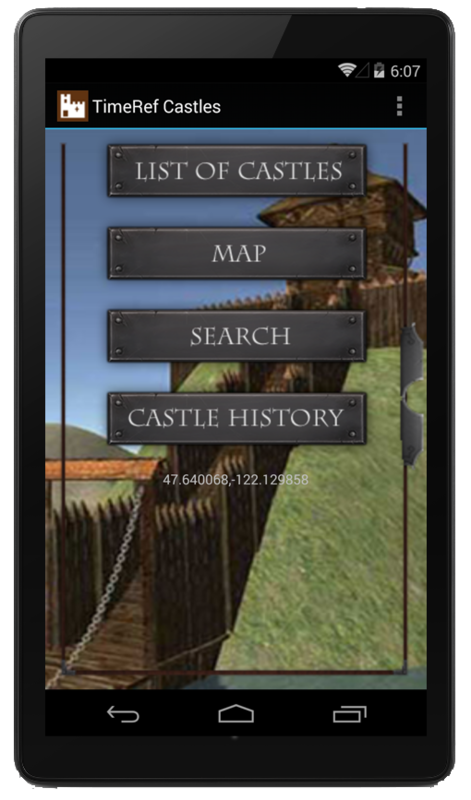 he original motte and bailey castle was built by a Norman called Picard after the Conquest. Early modifications include a stone shell keep and a stone round tower. Later in the castle's history a fortified manor house was built on the site and the owners let the older castle fall into disrepair. The tower of Tretower Castle can be seen from the A40. rim Castle, County Meath, Ireland, is a Norman castle whose construction was started in around 1172 by Hugh de Lacy. King Henry II granted the land on which the castle is built to de Lacy, a Norman knight. utbury Castle is a Norman medieval castle that was built shortly after the Norman Conquest. The main owners of the castle were the Ferrers family and the Dukes of Lancaster. The castle was attacked by Prince Edward in 1264 when the Ferrers and several other barons rebelled against King Henry III. The castle was damaged in the assault and then granted to Edmund, the king's son. Edmund later became the Duke of Lancaster.The castle was visited many times by the Kings of England who paid for its upkeep. John of Gaunt took ownership of the castle when he married Blanche of Lancaster and became Duke of Lancaster. He made improvements to the defences. The castle was the prison for Mary Queen of Scots several times. Attempts by Parliamentary forces to besiege the castle occurred during the English Civil War as it was held by Royalist supporters and after the war orders were given for its destruction. After spending six months at Bolton in Yorkshire, Mary, Queen of Scots, was moved to Tutbury Castle in Staffordshire. ynemouth Castle and Priory occupy the same location on a rocky headland overlooking the mouth of the river Tyne. The site was possibly used in Roman times. In Norman times the castle was owner by Robert Mowbray, a Norman Baron. In 1095 William Rufus demanded to see Mowbray after the baron attacked four merchant ships from Norway. But instead Mowbray rose up in revolt supported by Roger de Lacy, Gilbert de Clare and William de Eu. Rufus captured the rebels and their main castles at Tynemouth and Bamborough. Mowbray was imprisoned and the other barons were heavily fined or had their lands confiscated. In 1296 King Edward I granted the prior permission to build a stone walls around the site. A gatehouse was built in around 1390 to protect the site on the western, landward side. It was designed to be the strongest part of the fortification.